The United National Front (UNF), Joint Opposition (JO) and the Tamil National Alliance (TNA) have decided to vote against the report of the Delimitation Committee on Provincial Councils. The Parliamentary Groups of these Parties met separately in Parliament yesterday and both groups have unanimously decided to vote against the report. The report has to be passed with a two thirds majority in Parliament in order to hold the PC elections under the new electoral system. The UNF Parliamentary Group chaired by Prime Minsiter Ranil Wickremesinghe met at the Parliament complex yesterday morning. A UNP member said they prefer to hold the PC elections under the old electoral system. “We prefer to revert to the old system to avoid further delay of PC elections. Moreover, minority parties representing the UNF are of the view that the new system with 50:50 ratio for First-Past-the-Post System and Proportional Representation System does not ensure fair representation to them and they are against it,” he added. Meanwhile, Party Leaders who met yesterday were undecided as to whether the vote of the report will be taken up at the end of the debate today. Another Party Leaders’ Meeting chaired by Speaker Karu Jayasuriya will be held today morning to take a final decision in that regard. A full-day debate on the Report of the Delimitation Committee for the Delimitation of Electorates in Provincial Councils will be held from 11am to 6 pm today. The minority groups led by Ministers Rauf Hakeem, Mano Ganesan, Rishad Bathiudeen and UPFA MP Douglas Devananda have already stated that they are against holding the PC elections under the new system. However, Local Government and Provincial Councils Minister Faiszer Musthapha, who represents the SLFP, strongly advocated for the new electoral system when he spoke in Parliament recently. The JO also conducted a group meeting chaired by its Parliamentary Group Leader Dinesh Gunawardena at the Parliament complex yesterday. The JO is of the opinion that the new system does not reflect the people’s real mandate. They also complain that the Government was trying to delay the elections by using the new electoral system as an excuse. However, the two thirds majority is needed even if the House wants to repeal the new electoral system in order to go back to the previous system. The delimitation committee comprised of Kanagaratnam Thavalingam (Chairman), retired Surveyor General, Dr.Anila Dias Bandaranaike, retired Assistant Governor of the Central Bank, Professor S.H. 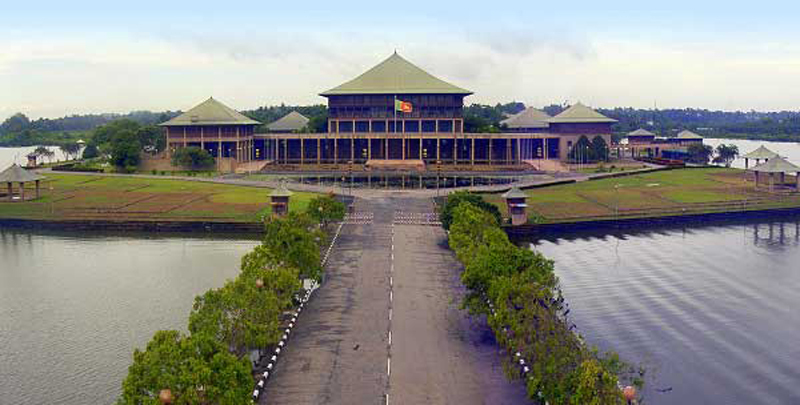 Hisbullah, Prof. Sangara Wijeyasandiran and retired Assistant Election Commissioner Premathilaka Siriwardena presented the report to the Minister on February 19. The delimitation report was submitted to the House by Provincial Councils and Local Government Minister Faiszer Musthapha on March 6. The elections for the Eastern, North Central and Sabaragamuwa PCs are already due, and the term of another three PCs namely the Central, Northern and North Western PCs is due to end by September. Party Leaders on July 20 agreed to schedule the PC elections on January 5, 2019 if Parliament could arrive at an agreement on the matters relating to the elections before the end of October.